Wylie Recreation: Last Chance for LEGO Robotics Camps! Our June Jr LEGO Robotics and LEGO Robotics Rescue camps filled up in just a few days! Due to the popularity, we are adding another round of Jr LEGO Robotics and LEGO Robotics Rescue camps in July. Sign up while you can, space is limited! Bring your LEGOs to life! Enhance critical thinking, creative and teambuilding skills. Discover concepts of robotics and the engineering design process in a real world setting. Construct and program WeDO robots using laptops. Build various wild animals, amazing mechanisms, and soccer-themed gadgets. Open to kids 6 - 9 years of age. Cost is $130. Combine LEGOs, laptops and rescue in this one-of-a-kind experience. Enhance critical thinking and creative skills while gaining patience and working as a team. 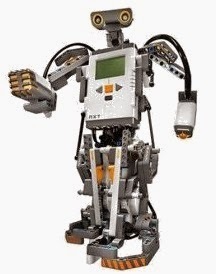 Test, build and program LEGO Mindstorm robots on laptops while exploring ways robots respond in disaster situations, search for survivors and rebuild a bridge. Open to kids 10 - 14 years of age. Cost is $130. Camps held at Wylie Recreation Center July 14 - 17, 9 am - 12 pm. Register now online or in person at Wylie Recreation Center. No Rec Pass required!